Last updated: Aug 14th, 2013. The LG G Pad is said to be an 8.3 inch "retinal" tablet, and it gets that classification thanks to a reported 1920 x 1200 resolution. That would put this thing in line with the 2013 Nexus 7 in terms of resolution, though the pixel density is obviously a bit lower thanks to its larger screen size. Still, it would probably look quite remarkable. Other specs of this "G Pad" would include a quad-core processor of some sort, as well as 2GB of RAM. 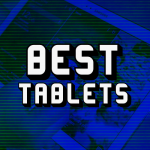 The launch of several new tablets this month has led to a bit of a shakeup at the top of our Android tablet rankings. Where do newcomers like the Samsung Galaxy Tab S and a refreshed LG G Pad lineup land? Read on to find out. LG has officially announced the LG G Pad 8.3 Android Tablet with a full HD screen and quad-core processor, running Android 4.2.2 Jellybean. It will debut at IFA in Germany next month… will it live up to the hype? Will LG unveil the G Pad tablet next month? 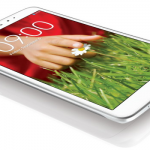 Rumors out of Greek publication TechBlog suggest LG will look to unveil the G Pad next month. It’s said to be an 8.3 inch “retinal” tablet, and it gets that classification thanks to a reported 1920 x 1200 resolution.